Put your grocery shop's ready-made toothpaste on a side and switch to easy to made and cheap all naturals homemade toothpaste for overall health of your family. With evolution of human beings, various new technologies and routine useful things has been also improved. But with the process of evolution and improvement, purity of natural ingredients that we use in daily routine has become poorer. One example is our toothpaste that gives us fresh and clean teeth plus oral cavity. Toothpaste that we purchase from grocery shop has tons of harmful ingredients though companies sell them as completely harmful to our health. Few of armful ingredients are Triclosan, Aspartame, Sachharin, Sorbitol, Sodium Lauryl Sulfate (SLS), FD&C Blue Dye No. 2, Fluoride etc. To stay away from harmful ingredients of toothpaste, you can switch to homemade toothpaste. Homemade toothpaste recipes include all natural ingredients like baking soda, water, essential oils, coconut oil, sea salt etc. which are considered as teeth friendly ingredients. Mixture of these ingredients not only cleans your teeth but remineralize your teeth to get rid of the problems like problem of eating cold food items, tooth decay. As well as with homemade toothpaste you will get white brightening teeth that you have dreamed about. Check out various homemade toothpaste recipes that can be made in few minutes a useful for measurable long time. Complete knowledge of pregnancy for pregnant mother is must need to avoid some dangers and good health. 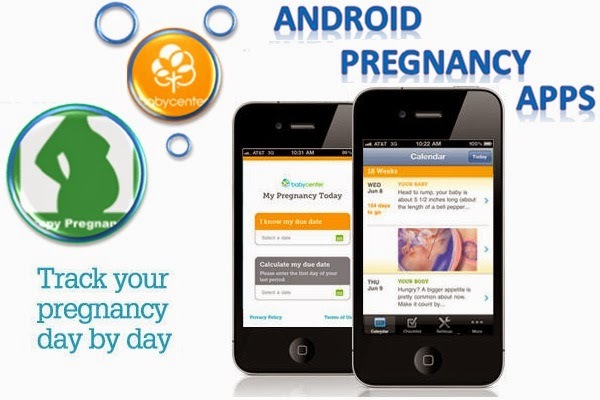 Use Top Free Android Apps for Healthy and Happy Pregnancy cycle. Moms-to-be, just download any of these top Android pregnancy apps and you can have all important info related to your pregnancy right on your fingertips! They also help to show you how your baby grows and develops in images. Nine months of your pregnancy will be exciting, but challenging too. Actually, the journey starts from seeing that positive pregnancy-test result, afterwards lots of questions keep on rising in moms-to-be mind. Pregnant woman should be careful every time, also have to follow all do’s and don'ts with full awareness. Little laxity costs a lot to mother as well as baby growing in her womb. With massive information and difference in thinking of people, it becomes hard for mother to decide actually what is wrong and what is right? Don’t worry moms-to-be, now you can enjoy this special time at your own pace by simply installing top Android apps for pregnancy in your smartphone. Babymaking option is good, but outdated. In this digital age, mobile apps are here to help you make your pregnancy a little easier. Pregnancy special apps guide you about everything from coping with morning sickness, food guide, and helpful tips to visual representation of the day-to-day growth of your baby in womb as well as finding the perfect baby name. They are fully informative. Here we have listed top Android apps for your healthy and happy pregnancy; just check them out to enjoy your special time, stress-free! By nature, the mind of moms-to-be is always concerned about the condition of the baby growing in the womb. Here, 'My Pregnancy Today' from BabyCenter's would be your true companion. From the world’s most reliable pregnancy and parenting resource, this daily pregnancy app makes you track your pregnancy day by day and feel more prepared for your baby’s birth. Get started by entering your baby’s due date, afterwards the app will turn your phone into professional guide for the exact day of pregnancy. It helps you track baby's growth and get the pictorial status of your fetus in photos and videos with medical illustrators. Daily calendar is also provided with information on the changes that the body undergoes during pregnancy. Thus, moms-to-be can find out what's safe to do, nutrition tips as well as drinks on the particular day required. Also, it awares about which foods and activities should be avoided when they're expecting. Mothers are facilitated with organizers and checklists that help to keep track of doctors' appointments. Its 'Birth Club' feature allows you to connect with another women having similar due dates, helping to build a baby-centric community to share stories, advice and experiences. Here, it is compulsory to register your email ID. You must know the last date of your last menstrual period. This can be calculated from the app too. There’s even perks like healthy recipes as well as reminders to take a prenatal vitamin. Enjoy this summer with some super-cool sundresses. Here’s a collection of some of the cutest, yet stylish summer dresses available out there! A charming sundress is something that every girl should have in her wardrobe for summer. After all, sundresses are styled exclusively for the warmth and whimsy of the summer season. They're super comfortable, attractive, and easy to wear apparel. Moreover, these dresses even provide a beautiful feminine look that’s lighter than any other dresses. From high street fashion brands such as Mango, Zara and Promod to high-end designer brands, everyone has an exclusive collection of summer dresses in different beautiful designs and patterns. Perhaps the best and easiest way to shop for a perfect summer dress is online. There are several online stores on the net where you can get a varied selection of summer dresses with different styles, colors and patterns. Some of the coolest and most fabulous summer dresses currently available on various online stores are given here. Just go through this collection, pick your favorites and have your wardrobes ready for the summer. 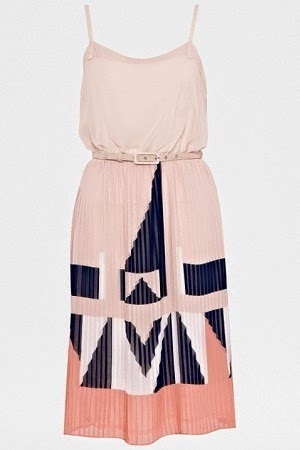 With a nipped-in waist and a graphic print pleated skirt; this gorgeous strappy sundress is perfect for wedding season. Checkout various disadvantages like less social interaction, difficulty in making friends, etc. that your one and only child may suffer due to not having siblings. Kids are miracle of God Almighty that comes in our life as a very special gift to explore completely new and happy life for us where we forget all other kinds of worries. Reasons may vary person to person that why they want to have only one kid in their life, but few basic reasons are financial problems, divorce, doubt of not giving equal time to their children, etc. Parents think that if they have only one child, they can give more attention and support to their kid that in turn will make their kid more intelligent and successful in their life. Having only one kid makes it easy for them to fulfill all financial needs of their kid without any hesitation or compromise. But, do you know raising a single child is very big responsibility for his overall growth. 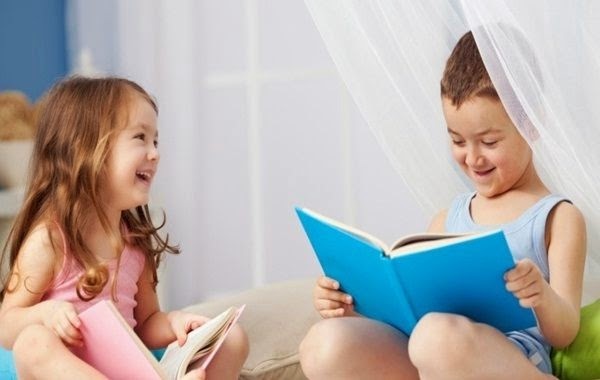 Without siblings, your one and only child might become arrogant and self-centered, so check out what disadvantages your kid will suffer from not having a siblings. One of the biggest effect not having siblings is that your single kid becomes more arrogant, if proper care is not taken by their parents. Monsoon has arrived and so it’s time to take extra care of your hair. Follow these simple tips and tricks to keep your tresses healthy and bouncy this rainy season. No doubt, the monsoon showers have given us the much needed respite from the scorching summer heat, but beware! Constant drenching and increased levels of humidity can wreak havoc on your hair and scalp. That’s why, it is very much important to give your hair a little extra care and attention during monsoon. Otherwise, you may end up with various problems like sticky scalp, smelly hair, dandruff, hair fall, and rough & dull hair. To keep all these problems at bay and to preserve the quality of your hair this monsoon season, just keep in mind the tips given below. These amazingly simply and easy-to-follow tips will make sure that your tresses look beautiful and healthy all through the monsoon! Oil massages can work wonders for your mane during monsoon season. Simply, pamper your hair with a good oil massage twice a week. This will not only nourish your scalp with essential nutrients but also strengthen the hair roots. Although you can use olive oil or almond oil for hair massage, coconut oil is the best choice - at least for this season. Wanna know the secret behind Katrina Kaif’s fresh and luminous looks? Well, the diva herself has revealed her beauty and fitness secrets. Check it out here. Katrina Kaif is undoubtedly one of the most beautiful and stylish actress in B-Town. She is adored by millions for her enchanting looks, angelic smile and long curvy figure. Even in her 30s, her skin looks so flawless and glowing - it could make anyone jealous! In fact, she is one of the rare Bollywood actresses, who can go completely make-up free and still look exceptionally gorgeous and charming. Hence, it’s no wonder that Katrina Kaif’s beauty secret is something that is sort after by many women. But, what’s surprising is that her beauty secrets are quite simple and easy to follow. Given below are some great beauty tips that shared by the diva, herself. So, all ladies, especially soon-to-be brides, follow these tips and get gorgeous like Katrina Kaif. The gorgeous actress firmly believes that beauty is not just how you look on the outside, but how healthy you’re from inside. So, in order to sustain a healthy glow in skin, she ensures to keep herself well-hydrated by drinking lots of water throughout the day. She also makes it a point to drink 4-5 glasses of water early in the morning, on an empty stomach. This flushes out toxins from her body and keeps her skin radiant all day long. She also pampers herself with facial and massages once in a while. This helps improve blood circulation and brings the natural glow to her skin. Katrina has also revealed that she uses natural beauty oils and milk for cleansing the skin. In times of beauty emergency, Katrina chooses to apply a mineral mud mask on her face. Mud masks are said to bring instant glow on the skin by removing all the impurities and toxins from the skin quickly. Whether you are watching your weight or just living a healthy lifestyle, enjoy these healthy and delicious low calorie yogurt dishes without compromising on taste. Yogurt, the nutritious and wonderful snack is among the America's favorite breakfast foods. It is powerhouse of protein, calcium & probiotics, and chocked-full of impressive health benefits. It is so versatile that you can use it in desserts, sauces, dips, appetizers, smoothies, salad dressings, main courses and marinades. Now-a-days people are more calorie conscious, so they prefer low-fat varieties of yogurt. This low-fat tasty treat not only makes your food interesting, but also gives you the required nutrients by adding only few calories. Here are given some simple and delicious low calorie curd dishes that you can enjoy without worrying about calorie count. First of all, preheat oven to 350°F. Then, grease 12 well muffin tin tray and keep it aside. Take a sheet of phyllo dough and brush it with melted butter. Put another sheet on top and brush with melted butter. Cut the sheet into 12 equal squares and put them in prepared muffin tin tray. Now, repeat the process with remaining sheets, but put the squares in muffin tin in alternate corner points. Bake phyllo for about 6 minutes or until golden. 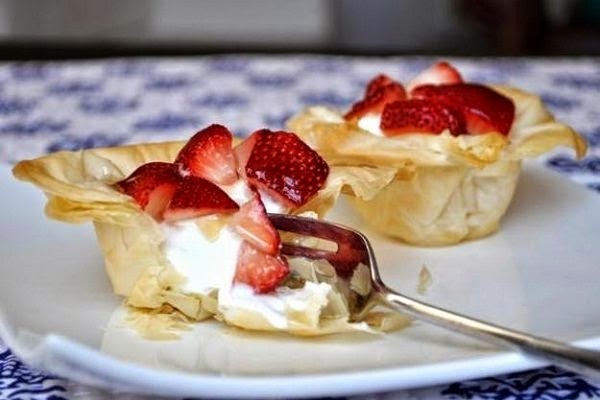 Once phyllo cups are ready, allow them to cool to room temperature. Fill each phyllo cup with 1 1/2 Tbsp. yogurt and top with 1 Tbsp. strawberries. Drizzle honey on each cup. Make use of baking soda and apple cider vinegar recipe as shampoo and conditioner to get silky and shiny hair without any side effects of any harsh chemicals. A natural curly locks or shiny hair is a dream of every girl. Long shiny and silky hair gives extra gorgeous look to any girl. Various shampoo and other hair care products gives you shiny hair but it last for few days only. Plus harsh chemicals used in shampoo makes your hair frizzy and dry. It washes out essential oil from your scalp and makes your scalp itchy. Some harsh shampoo who claim to rinse out dandruff are so much harsh in nature that it make your hair looks like dead without any volume, gross and dryer than hardest winter. There is natural baking soda and vinegar recipe to make your hair silky without using harsh shampoo! Baking soda is used for many purposes from cleansing to make different baked products. It also cleanses your hair scalp and gives you rid of dandruff by leaving your hair smooth and soft. Baking soda does not contain any harmful chemicals like shampoo. Apple Cider Vinegar’s use after washing your hair with baking soda will do work of natural conditioner. It will lock the shine of your hair without removing natural oil in hair root. So, this combination of natural ingredients not only make your healthier than before but you can also stay away from harsh damage of shampoo chemicals. 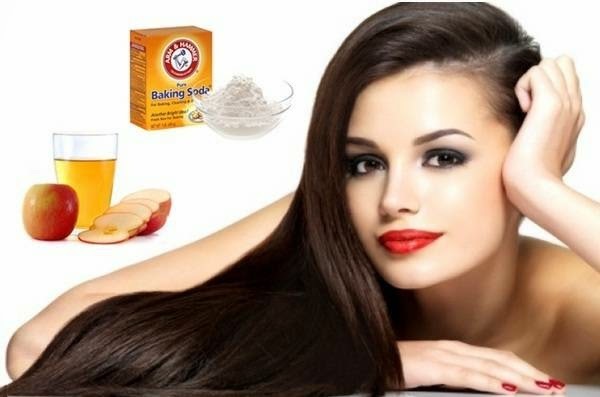 Once anyone starts using this natural remedy of baking soda with vinegar for silky and shiny hair, they will definitely not going to use harsh shampoo again. Combination of baking soda and vinegar gives you a chance to embrace natural texture of your hair. One thing you must understand while using the baking soda and vinegar for your hair is you will not get any foam or leather effect by using these natural ingredients. But these ingredients have quality to do remove all dirt and oil from your hair without causing damage. Natural baking soda and vinegar are free from drying sulphate chemicals. Don’t get embarrassed of your dark lips; you can get your rosy lips back again by applying selected home remedies given below. It contains everything from lip-scrubs, lip-serums, lip-packs to improve the lush and feel of your lips. Natural is natural, after all. You may apply lip balms or lipsticks regularly to look lips luscious and healthy, but healthy pink lips have their own charisma. People may dress up good, have beautiful eyes, attractive face, and a good sense of humor…everything; but unfortunately, they are cursed with dark lips. Beauty is incomplete without rosy lips; as they add glamour to the face and make your smile even more beautiful. Dark lips become a common problem. Many people frustrate you by pointing out for dark lips; even you, yourself, feel a little awkward and gauche. No need to face all these, if effective natural solutions to lighten darker lips are available. Dark lips are genetically inherited also most commonly found in dark complexioned people. However, rough lifestyle is a huge contributing factor for dark lips. Exposure to sun, UV rays, smoking, allergies, use of low-quality cosmetics, too much caffeine intake, hormonal imbalances and age affect our lips and darken them. Don’t buy expensive products or treatments, their results are just temporary. Try these effective natural home remedies at home to lighten your lips and achieve the results you want. Think twice before throwing orange or banana peels into the trash as you can use them in numerous creative and useful ways. 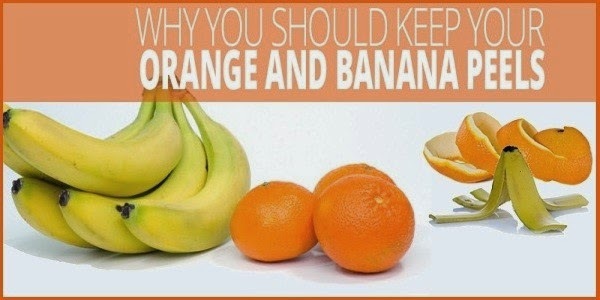 When we eat an orange or a banana, we normally throw the peel off. But, this is one big mistake because skins or peels are as good as the fruit itself. These fruits leftovers are highly nutritious and packed with some of the most powerful nutrients. Banana peel is loaded with antioxidants, carbohydrates, vitamins (B-6, B-12) and minerals (manganese, magnesium and potassium), whereas Orange peel is rich in vitamins A & C, Calcium, antioxidants and minerals (magnesium and potassium). So, instead of throwing the peels away, use them in medicinal and practical ways. Read on a bunch of useful ways to use orange and banana peels. 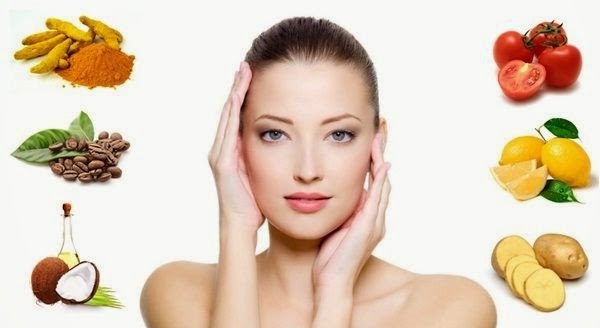 Become a queen of naturally glowing and white skin by regular use of hidden beauty gems of kitchen like banana, lemon, tomato, turmeric, coffee, etc. Cosmetics market is spilling over with lots of cosmetic products that claim to enhance your beauty and to give you flawless glowing skin. But it is also known that cosmetics, beauty products invite various skin related issues like skin rashes, skin cancer, etc. Besides using these synthetic beauty products, you can get glowing and white skin with the use of simple day to day kitchen ingredients. Not-so-famous hidden beauty gems of kitchen are used from the time of our grand nanny, and they are totally safe on all types of skin. Use of natural beauty ingredients gives you natural glowing and white skin so that you can attend various social events without wearing lots of make-up. All you have to do is just constantly use these beauty gems for long lasting glow. Check out below kitchen ingredients with beauty tips about how to get naturally glowing and white skin at home. Coconut oil: Oily skin people can make use of coconut oil to get bright facial skin. To get its benefits, apply very small quantity of coconut oil on your face and take steam. It will completely get absorbed in your skin and nourish naturally. To prepare homemade mild exfoliating agent, mix coconut oil and a pinch of baking soda. Massage with it for few minutes and wash your face with warm water. It will make your skin glowing and soft. Now no need to waste time and money on a manicurist! 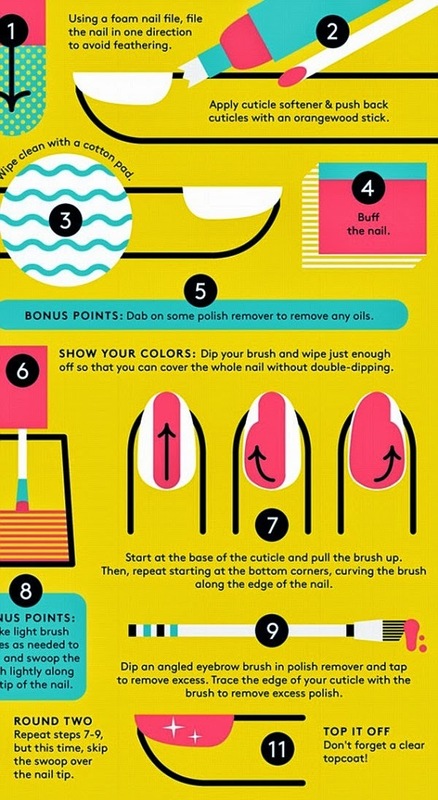 Here’s an infographic showing how to make your nails look professionally painted at home. It can be quite irritating to visit your manicurist week after week just to polish and paint your nails. But you don’t need to spend a fortune and time in beauty salons to make your nails look fabulous. You can now give your nails the same professional effect at home! Madeline Poole, a NYC based popular nail artist, has revealed her special technique for making do-it-yourself polish look totally professional. For easy understanding, an infographic has been created in which Miss Poole’s method is broken down into simple steps. So check out the infographic given below to learn how to paint your nails at home, without making a mess. Coffee can do a lot more than just kick starting your day. 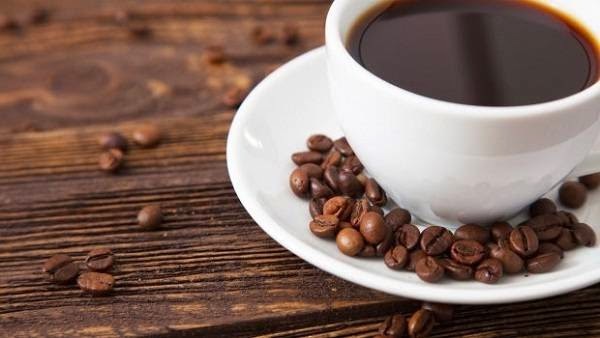 Here are some amazing and unusual uses for coffee that you may have never thought of! Coffee is nearly everyone’s favorite drink. For sure, nothing can beat the rich flavor and the delicious scent of a freshly-brewed cup of coffee. It doesn’t matter where you are or what you are doing - a nice cup of coffee will instantly perk you up by boosting all of your senses. But did you know that coffee can be used for countless other things besides drinking? Yes, it’s true! There are several other uses for coffee that people are not aware of. Given below are a few such creative and amazing uses of coffee. Take a look. Want shiny, healthy-looking hair? Then, simply brew up a pot of extra-strong coffee, allow it to cool to room temperature, and then pour it on your hair. Leave it on for around 20 minutes before rinsing it off. Repeat it once a week for best results.